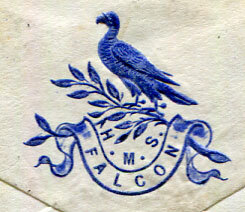 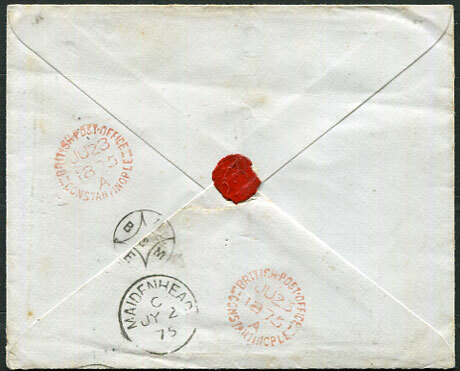 1896 reg. 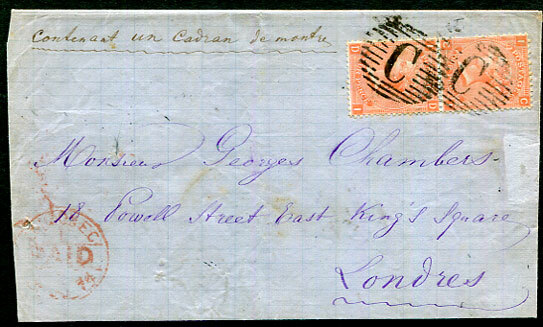 OHMS cover to London with QV 1d, 6d tied "TI" obliterator with Turks Island DE 17 96 and London 6 JA 97 reg. 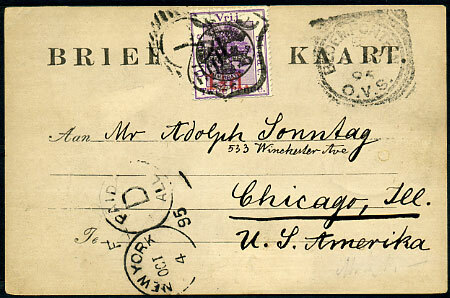 ovals clear of address panel. 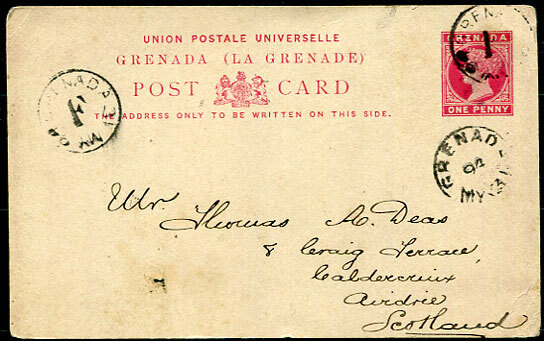 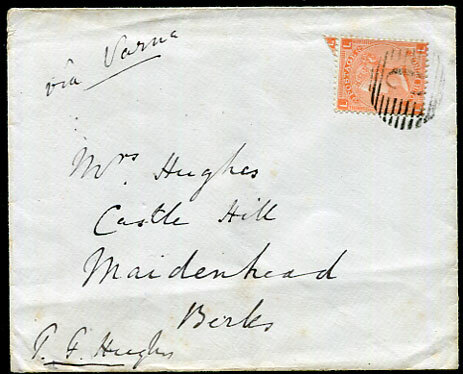 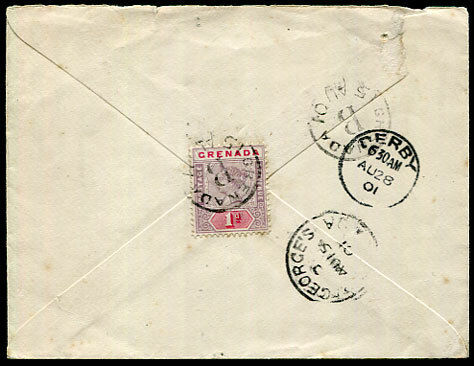 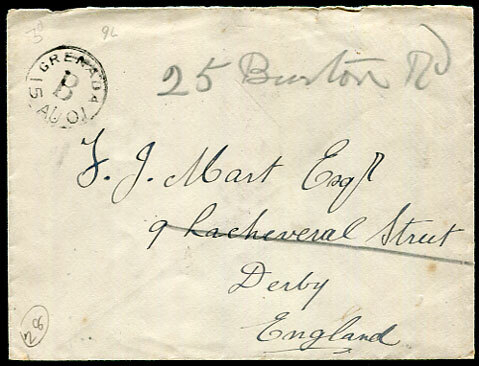 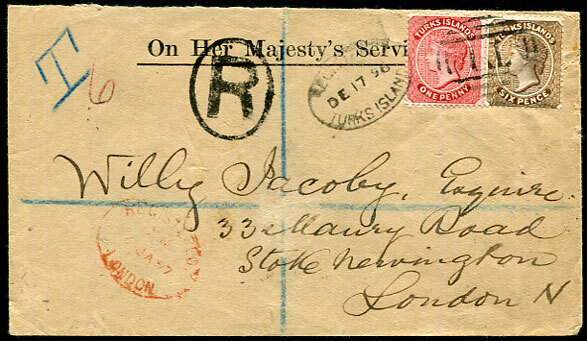 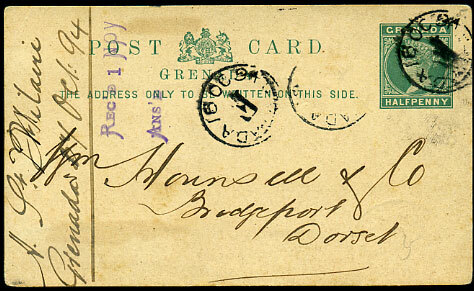 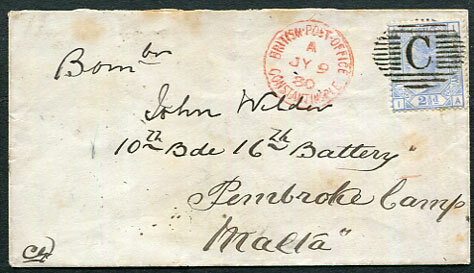 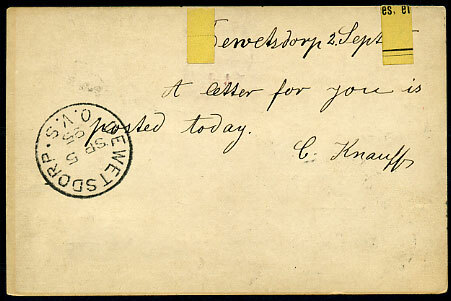 2nd Type dated 18 OC 94 on QV ½d Post Card, adjacent stamp removed, to Bridport, Dorset.